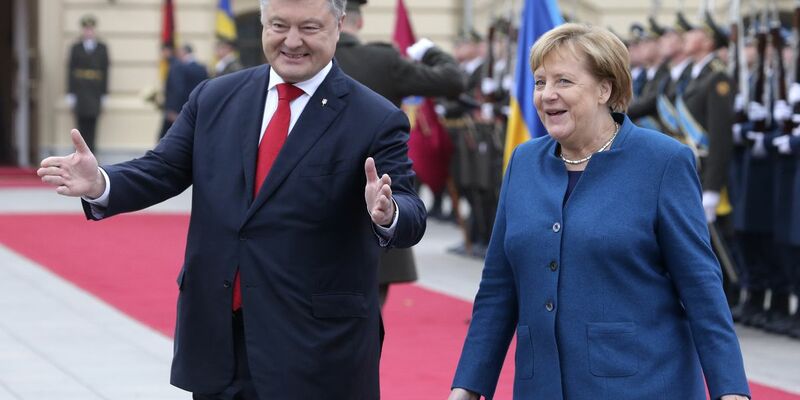 KIEV, Ukraine (AP) — German Chancellor Angela Merkel has visited Ukraine, pledging to uphold anti-Russian sanctions for Russian actions in Ukraine. Poroshenko urged Russia to withdraw its forces and weapons from eastern Ukraine. Russia has denied having forces there.